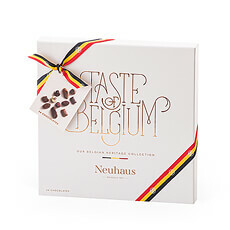 Delivery of Neuhaus Belgian chocolates gifts to Belgium. 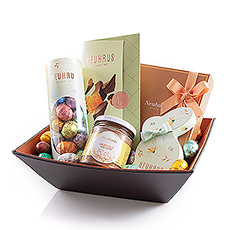 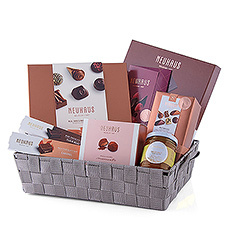 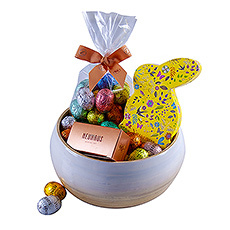 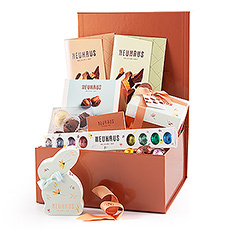 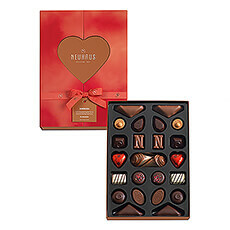 Send a chocolate gift basket with Belgian chocolate, a gift box with truffles, and other gifts by Neuhaus with fast international delivery for Mother's day and other occasions. 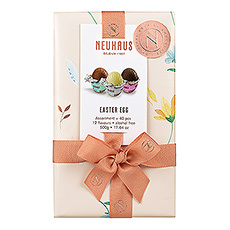 Neuhaus brings the finest gourmet chocolates in a range of classic and contemporary Belgian chocolate gifts for delivery in Belgium. 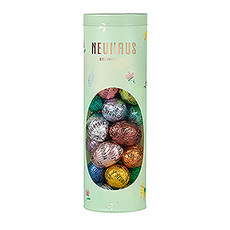 Neuhaus was founded in Brussels in 1857 by master chocolatier Jean Neuhaus, the inventor of the chocolate praline. 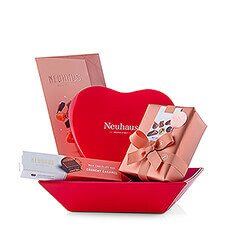 Neuhaus Belgian chocolates are beloved by those who truly appreciate artisan chocolate. 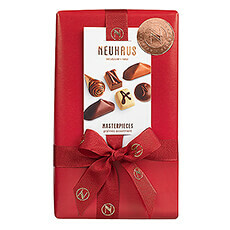 Belgium's oldest and most exclusive chocolatier, Neuhaus was founded in Brussels in 1857 by Jean Neuhaus. 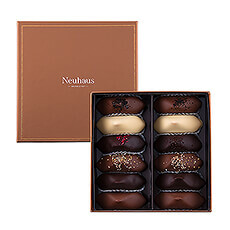 The chocolate praliné and the ballotin gift box were created by Neuhaus, both of which have become icons of gourmet Belgian chocolates. 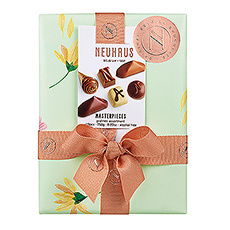 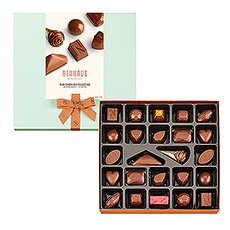 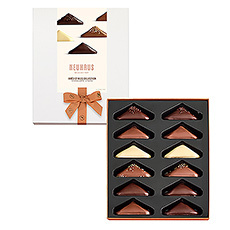 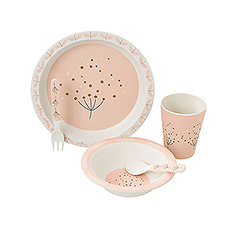 Today's Neuhaus collection features timeless classics created according to the original recipes. 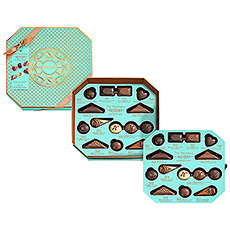 The range includes chocolate filled with ganache, gianduja, or fresh cream, chocolate enrobed biscuits, liqueur filled chocolates, cocoa truffles, and of course the incomparable original pralinés. 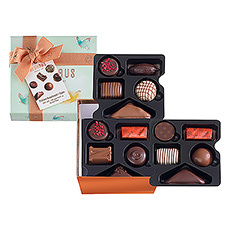 Belgians know and love luxury chocolates, so naturally when you send chocolate gifts to Brussels, Antwerp, or Bruges, only the very best Belgian chocolates will do. 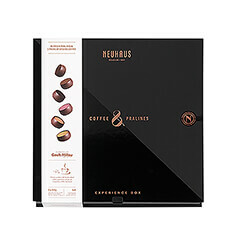 GiftsforEurope is proud to offer a premium selection of Neuhaus Belgian chocolate gifts for international delivery. 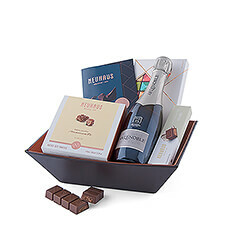 Choose from elegant contemporary gift boxes, hand-packed luxury chocolate hampers, and classic gift baskets filled with tempting chocolate assortments. 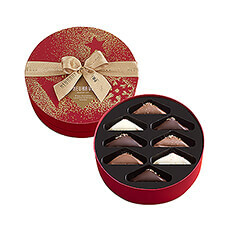 Every year Neuhaus also creates very special Christmas gifts with chocolate to celebrate the season. 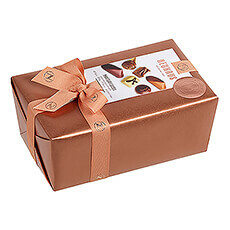 Belgian chocolates are always a welcome gift for Christmas, corporate gift occasions, birthdays, and other festive occasions. 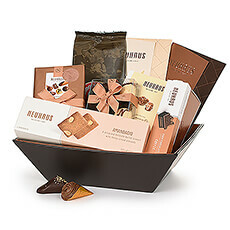 Would you like to send multiple chocolate corporate gifts to Belgium? 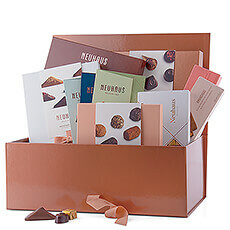 Discover our business gifts today and receive personalized assistance for your B2B gift order.